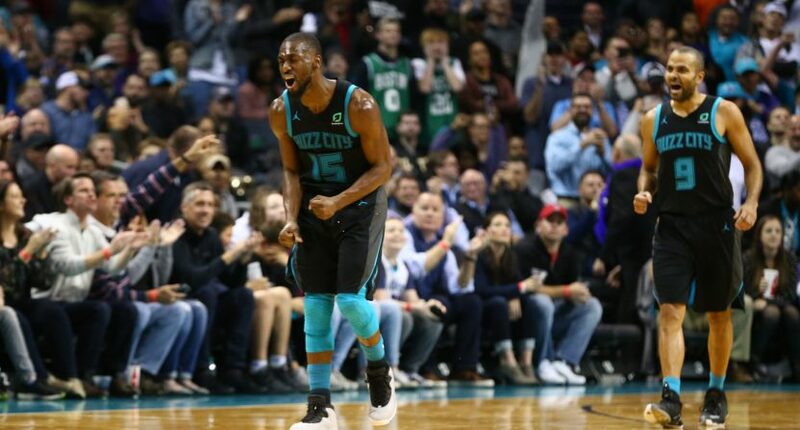 Two days after dropping 60 points on the Philadelphia 76ers, Kemba Walker scored 43 points against the Boston Celtics to lead the Charlotte Hornets to a 117-112 win. Do the math and that’s 103 points over the last two games for the former UConn star, and he got those 103 points with very efficient shooting. On Saturday, Walker was 21-of-34 from the field, 6-of-14 on threes, and 12-of-12 at the line. And on Monday, Walker shot 14-of-25 from the field, 7-of-13 on threes, and 8-of-9 at the line. Walker was particularly outstanding in the fourth quarter on Monday, with 21 points, including a dagger three in the final minute. The 28-year-old is averaging a career-best 28.7 points per game, barely trailing LeBron James (28.8 ppg) for the NBA scoring lead.